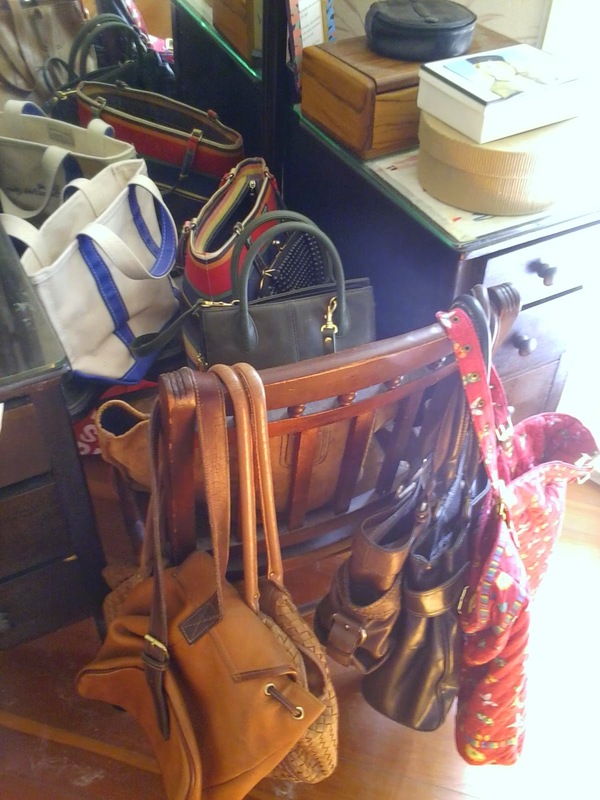 RHYS: My mother collected purses. She had purses in every shape, color, fabric and brand. A purse to match any outfit or occasion. I must have been a miserable failure as a daughter as I tend to buy one purse I like and use it until it starts to look old and worn. Currently I have a bronze leather cross body bag with enough pockets for everything. I also have a brilliant purse for travel which is safe from pick pockets, identity thieves etc. A little evening purse when needed. But that’s about it. I had a friend who wore matching earrings and necklace with every outfit. Again I’m a hopeless case as I tend to put in a pair of gold hoops and wear them for months. So I’m trying to think—do I have a weakness, something unnecessary that I have to have in large numbers? Well books. I also like pretty sandals. But no more than necessary. I guess I was born sensible. My husband, on the other hand, is constantly in pursuit of the perfect cup of tea. He buys different teas and blends them—a little more Ceylon here, a little more Darjeeling there. Even a dash of Chinese Keemun for the smoky flavor.And to make this tea to perfection he buys teapots. At this moment we have seven teapots in our California house, not to mention at least three in Arizona. 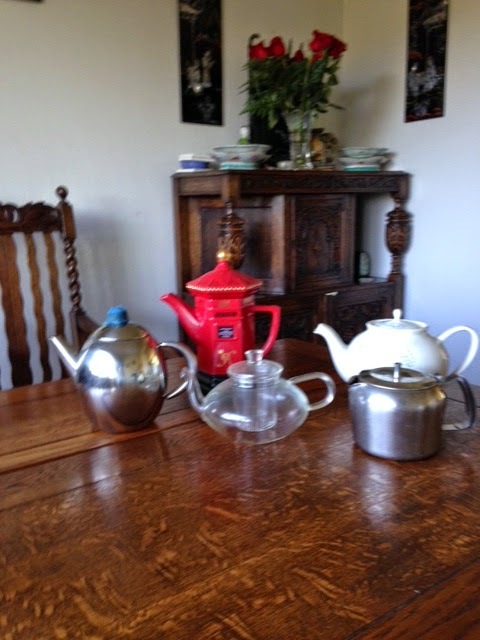 (The two silver teapots are stowed away, wrapped in baize, for ceremonial occasions). Not one, apparently, produces the perfect cup of tea yet so we are still on a quest every time we are in England. HANK PHILLIPPI RYAN: I NEED all those black suits and high heels. (Rhys is ALWAYS right!) But you know what I also have too many of? WAAAAY too many of? Paper bags. Shiny glossy paper shopping bags. It is RIDICULOUS. But I cannot bring my self to throw them away. LUCY BURDETTE: Aside from books, which you saw very plainly last week, my weakness has to be shoes. Not fancy shoes, with elegant heels, but sturdy shoes that accept my orthotics. And sandals--mostly Mephisto--because I can walk anywhere in them. I panic if my Asolo clunkers are starting to wear down and I don't have a pair in reserve because these are what keep my chronic plantar fasciitis at bay. What makes this worse is I don't throw away any of the shoes I used to be able to wear. 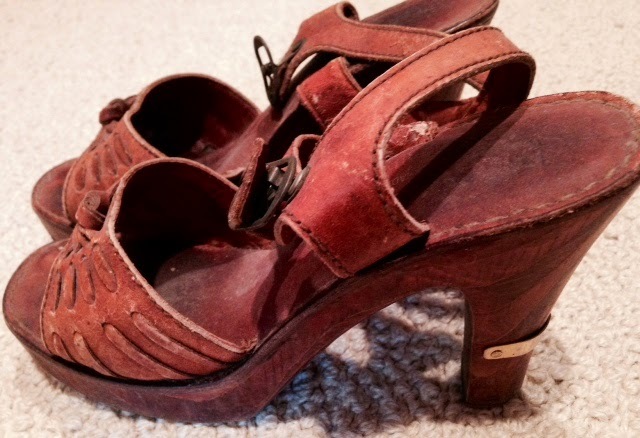 Here are the ones I wore to my first wedding, back in 1979. 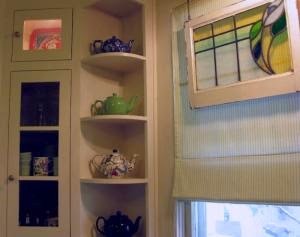 SUSAN ELIA MACNEAL: We have limited space for stuff, so we tend to live pretty simply. (Well, the kiddo does not live simply — but that's a whole other post...) My husband, however, is a collector of puppets. We have a bunch of Bil Baird originals, as well as puppets from Thailand, Bali, Nigeria, and India. I also love street art/outsider art and have started collecting original Faile (faile.net) and Stucky (http://stuckyart.bigcartel.com/) pieces. They go with the puppets! In terms of our bar, I love collecting really odd bottles — creme de violette, yellow chartreuse, velvet falernum. Our bar looks like it's set up for a Potions Class at Hogwarts! RHYS: Potions class at Hogwarts! Love it. So would my grandkids. Potions are a specialty of theirs. RHYS: Julia, we have a six bedroom house and have now stared things in all the former kids' closets (mainly John's file boxes, but also clothes, craft materials etc). DEBORAH CROMBIE: My daughter laments that I do not have the shoe gene... Like Lucy, I have developed plantar faciitis--mine is in my left foot. But I have held on to shoes with heels that I cannot wear for years. A couple of weeks ago I girded my loins and gave them all to Goodwill. No handbag thing, either. Like Rhys, I tend to buy one and carry it until it wears out. I might get really wild and have one for summer and one for winter! Things I do accumulate? Art. There is not a blank wall in my house. I've collected London Transport posters for years, and many are now very collectible. But I CANNOT buy any more. There is no place to put them. And Rhys knows about the teapot fetish. I just did a rough count in my head.... I have at least a dozen, maybe fifteen. And I have this last year found THE PERFECT TEAPOT. They are made by Emma Bridgewater in the UK (if you are tempted to order one, wait until they do a special with 10 pound shipping to the US. By the time take they off the VAT, your shipping will be free.) So I now have two of them, and salivate over the catalog. Why do I need more teapots???? Why do we need anything that's not absolutely necessary? Because they're beautiful and it makes me happy to use them and to look at them. RHYS: So we've shared our strange obsessions. Now it's time to share yours. Who collects way too many of what item? 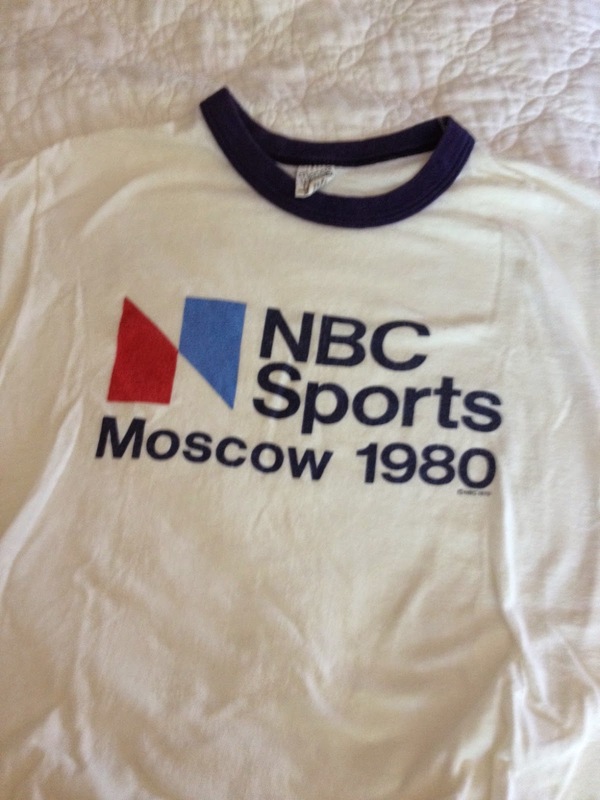 (And Hank, that NBC shirt from the 1980 Olympics in Moscow. Wow, that's certainly a collectors item! 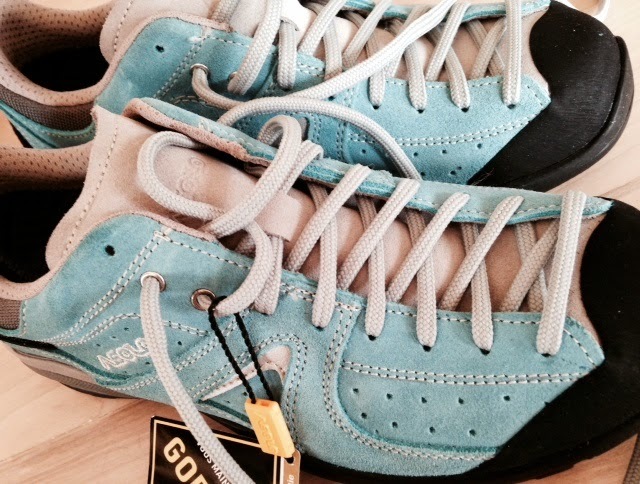 Worth putting on eBay and then buying more shoes! Purses make me crazy. I used to say you should be able to try them out for a week and then give them back because it never took any longer than that for me to decide I despised them, after all. Then a wonderful vintage Lucite purse came into my life and I knew I'd found the right purse for me. I have several, and have never once wanted to give any of them back. Other things that fill our house? More books than there are shelves to put them on. Precious Moments. Mostly angels, but a good deal of others. If something is green, I tend to acquire it first and reconsider later-- so if I put my green purse down on the couch that's covered with a green throw, it disappears and I wind up having to search for it through the camouflage. I own lots of things I'll never use, simply because I found one in green (or white with green trim). Thinking of having a huge green sell-off in the next month or so. I can use the "green"-- and would love to have the space. I think I must have been in line ahead of all you REds, because I sure have the 'sensible' gene. One purse until it wears out--like Deborah, maybe two in an extravagant year! Hard to fit feet, so few shoes in the closet. People keep trying to give me stuff--as in, now we know what to buy Auntie. But I don't cooperate--please no stuffed bears, etc. What I do have in excess, for me, are pitchers. Love the shapes, the colors, the textures--and it started with the gift of a family hand-me-down--my great-grandmother's buttermilk pitcher. I love that they are beautiful, utilitarian objects. Same with quilts--but again, the only ones I have are ones my mother made, I made, or we made together. Oh, and books don't count. Books are like air, gotta have them! FChurch, I love pitchers. I agree. And the reason that 1980's Olympics T-shirt is special--is that the US never attended those games. It was the year of the boycott over the Soviet invasion of Afghanistan. So it's a souvenir of an event that did not happen. I love the title "the house of seven teapots". I think I have the sensible gene. When I buy something that works for me, I keep it forever. I am not a purse person. Ironically, I wear fanny packs, which is "out of fashion" now. Though I have the sensible gene (I think), I do get shoes and purses to match what I am wearing if I am going to see friends who are stylish because I know we will have our pictures taken together. Though I have to say that sometimes I carry a vintage 1920s evening bag that was my grandmother's. That evening bag goes with me to the opening night of the symphony. It does not matter what color my gown is. I get the matching earrings and necklace with every outfit. I remember doing that when I was a model and everything went together for the photos. To me, it is like playing dress up or putting on a costume. I rarely wear jewelry in daily life. Regarding the perfect cup of tea, did you and John visit places in England? I have a funny story. I found the perfect tea at a chemist, which was way cheaper than the fancy boxes of tea in high end shops. For me, the perfect cup of tea came from blueberry tea. And it tasted like blueberries. This is the first time I heard of someone outside a restaurant setting who blends different kinds of tea. Thank you for the information about Mephisto sandals. I'll give them a try! Love the collection of puppets. And the bar looking like Potions class at Hiogwarts. Can you share a photo of the bottle collection? Though I do not collect purses per se, I seem to collect book bags to put my book collection in. When I was a teenager, I used to have an "overloaded vanity" in my big purse until I went abroad. After my time abroad, I started wearing fanny packs instead. I think it's lovely to have a collection of London Transport posters. I have one tea towel from my great aunt. It has a photo of the London Transport. I'll look for Emma Bridgewater in the UK and see if I can order the perfect teapot. Thanks for the tip! I collect many books too! Just noticed that I have a collection of green blouses, dresses, and socks. Green is my color. What does the buttermilk pitcher look like? I wonder if they still sell them in the 21st century. Were you working for NBC in 1980 or connected to the Olympics? Wonder how you found that T shirt? Hank, if you have some t-shirts you can't bear to part with becuase of the real-life association(as I do, but mine are well worn and wouldn't bring squat on eBay)you could make a quilt with them. Then you have the essential context, without having them just taking up space unseen in your closet. First, of course, as Rhys said, sell those mint historical ones for big money. Susan, I want to see the potions bottles, too! 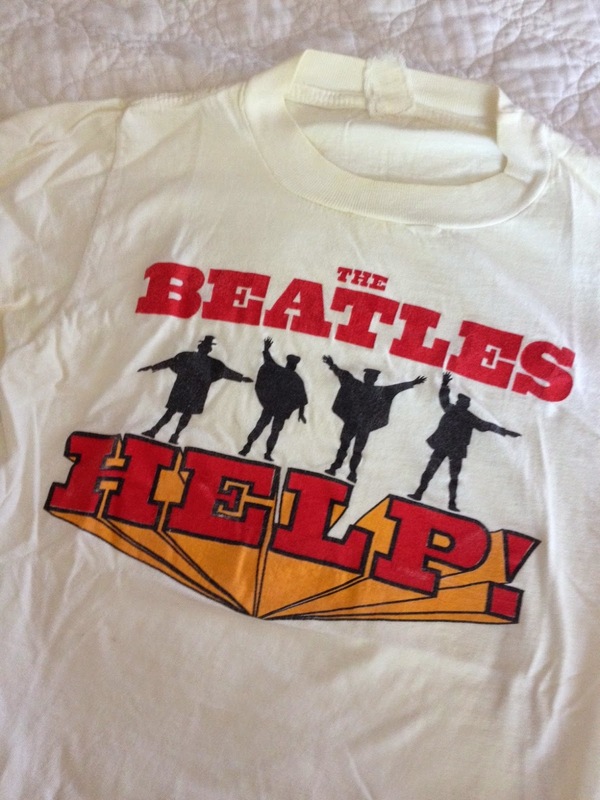 I wish I could talk my husband into the t-shirt quilt. He still has his t-shirts from highschool and his twenties. He doesn't wear them but he won't give them up. The sensible gene certainly passed over me. My daughter, who is somewhat of a minimalist, just shakes her head at me. I do like my favorite things around me. I think my highest number of collected items must be my coffee/tea mugs. You could look at my mugs and know me, from where I've been to what I'm interested in to the fact that I'm quirky. Reading is, of course, nicely represented, and I just have to have a mug from wherever I travel. My favorite mug from traveling is my Hog's Breath Saloon in Key West. I plan to purchase another one during my trip there in September. Another collected item is elephants, although it's not the case of elephants in every room, and we don't avoid discussing the ones that are in the room. My first elephant I bought was a small ivory one when I was in Hawaii in 1977, and my husband has mainly added to them by bringing me back small elephant sculptures from his travels to Quatar and other overseas locations. I have a wonderful elephant print hanging on the wall that I picked up in Atlanta and had framed. I love buying a prints to hang up from traveling or from my book interests. Books pretty much rule a lot of what I purchase. I have a lovely limited edition book print I bought in Key West entitled "Book Room" by artist David Scott Meier. I have a large print of the pilgrims in Canterbury Tales, and a gorgeous print of a Van Gogh book painting. Of course, the main item I collect is books, and they are evident in every room, except the bathrooms. One of my favorite quotes is by Anna Quindlen, who said, "I would be the most content if my children grew up to be the kind of people who think decorating consists mostly of building enough bookshelves." I collect quilt fabrics. Sometimes I use them in quilts, but mostly I just collect all the pretty fabrics. Because, y'know, I might use them in a quilt some day. I also like art glass paperweights, and have quite a few of those. None of them are currently holding down any papers, mind you, but when a friend asked me once, "Don't you think you have enough paperweights?" I had no idea what she was talking about. Rhys, of course he doesn't have a pot that makes the perfect cup of tea - I see no Brown Betty in that collection! At least that's what my English relatives would say. My collection is my yarn stash. As a dedicated knitter I can rarely make it out of a yarn shop without something new and lovely. I have an entire tall chest stuffed to the gills and many bins more on all levels of the house. You just have to step around the stacks of books to get to them. We've had the traditional brown betty too. The white ceramic is similar (he bought that in Sri Lanka). And we buy a lot of our teas at Indian stores--you can get good quality long leaf at a fraction of the price of those upscale tea houses. Red ceramic pitchers, from little miniature ones to cream pitchers to gigantic ones. They are not all solid red, but have a dominant red in them:cherries or other reddish fruit, or stripes or analogous reds. It all started at a friend's Christmas gift shop when I spied a small, red, vintage pitcher tree ornament. Absolutely no reason to this fascination. Books, fabric (from all over the world, especially silks, wools, and weird stuff, like alpaca and baby cashmere), and scarves--again, from everywhere I've traveled. I used to collect fans, seashells, patterns, sewing machines, and various kinds of art, but after collecting three children, who each collected their own pile of obsessions, I can't do that anymore. Hank, carry reusable bags in your purse, and eschew the paper and plastic ones. Some stores insist on wrapping purchases as if they were priceless objects, but it's usually not necessary, and helps to save resources to use your own. Also, cull through all your old t-shirts, and whichever ones you want to keep for the memories, have someone make a t-shirt quilt for you. A friend makes them as a business (and if you want her name let me know), and she helped my youngest daughter figure out how to take a towering pile of them to make a quilt for herself. Now I'll be making one for us, and probably two for my middle daughter. Then you only have to store one thing, and that could be on the bed. My mother kept giving me angels, and I couldn't figure out why. She said, "Because you collect angels!" But the only angels I had were ones she'd give me. Karen and Linda, even if you yourselves didn't start the collection, I think it's lovely that your families view each of you as angel collectors . . . .
Joan, that is certainly looking on the bright side of the thing! Thank you for completely changing my perspective on this angel collection. Fountain pens. I buy a new one for every book I write. Not expensive ones--I'd be afraid to use them. Colorful or funky ones that make me smile. Teapots! I just counted and I have 20. 21 if you count the one from my childhood china tea set (I still have every piece, with only one broken cup handle) that is 58 years old. I have had to give away several more because I just don't have room for them in my beautiful cabinet that my husband built for them. I love that I have teapots from 7 different countries. I just wish I had been able to visit all those countries! Other than teapots, I try to be a minimalist. My husband keeps asking me, "Are you sure we still need this?" And I am starting to agree with him TOO MUCH STUFF! Love love love the angel stories too! I know I've mentioned my collections before. In addition to books, I've got a ton of movies, TV on DVD sets, and CD's. The collection I need the least, however, is Hallmark Christmas ornaments. I love them and buy them. I have two artificial Christmas trees. And I still don't have enough room for all of them. Yet I keep buying them. In this house we collect creches. The largest one is about 500 pieces and covers every surface in the house from Thanksgiving until Epiphany. The rest of the year it is loving packed away in the attic. The smaller ones live here and there pretty much all year long. My favorite is one we bought in Vatican City. It is very primitive, three pieces only, the holy family of course. The part I adore about it is that the Blessed Virgin is lying down holding the Christ Child in the crook of her arm. St. Joseph is sitting with his arms around his knees as if to say "what now." I wish I could post a picture. Other than the creches, we only collect crap. Tons of "things" that need to find another home or relocate to Good Will. The older I get the more I want to divest myself of all this baggage. Hmmm, time to go pitch more stuff! Rhys, I could use a six bedroom house for all my stuff! I collect lots of stuff. CD's, DVD's, and books (tons of books). Good thing I've got lots of purses because they've gone up in price; much more expensive than they used to be ten years ago. I don't have designer purses, just ones I bought at Kohl's, Dillards, and J.C. Penney's, etc. I don't change my purses too much, but I could never just have one. Right now I'm using my pink and black furry Nine West cow purse. I also have a furry black and white leopard purse. I have lots of tote bags and sometimes I get the reusable grocery totes. Just got two free at the Hungarian festival on Saturday. I have lots of pens. I like rollerball pens in different colors. My favorite brands are Pilot and Uni-ball. I also never get rid of old clothes that don't fit. I need to lose weight and then I can wear them! I also have lots of stationery. Tons of makeup and probably some should be thrown out.